Polishing: this is the last step in tooth cleaning and involve s finishing the surface of the teeth to make them shiny and clean. 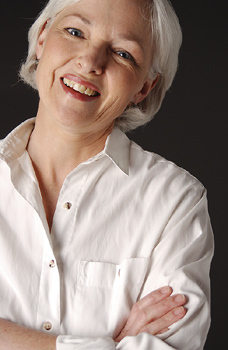 A dental implant is an ideal tooth restoration for people who are missing one or more teeth. A dental implant is a metal post that a periodontist or oral surgeon surgically positions into the jaw. Once in place and bone surrounding the implant has had time to heal, a replacement tooth is attached to the post. While implants are typically more expensive than other methods of tooth replacement, they provide superior benefits. Implants are stronger than natural teeth and generally last 10-20 years. They are also a more favorable approach than bridgework since they do not depending on neighboring teeth for support. Cosmetic dentistry includes procedures to correct imperfections or enhance the appearance of the mouth. Tooth color, alignment, spacing as well as the shape of the teeth are the characteristics that give the overall appearance. Any of these can be enhanced to provide a stunning new smile. Orthodontics is the art of using appliances to straighten and align teeth. Most commonly it involves the use of braces to move teeth into proper position. In this method, brackets are bonded to the teeth and arch wires are threaded through the brackets. The arch wires act as a track, guiding each tooth to its proper position. There are several types of orthodontic braces available to patients, including traditional stainless steel ("metal" braces) and ceramic "tooth colored" braces. Aligner Trays -- Aligner trays may be used for movement of anterior teeth. If all you need is a little cosmetic improvement for a great smile and you would prefer not to have traditional brackets and wires then the nearly invisible Red, White and Blue No Braces System may be the right choice. A quick evaluation will tell if you are a candidate for this convenient treatment. One to five aligner trays will be made depending on your doctors analysis of your particular dental alignment. Each appliance will be made of a light weight plastic-like material in the shape of your arches, using an impression of your teeth. The nearly invisible appliances are so easy to wear and talk with very few people will even know you have them on.